Zimbabwean international Nyasha Mushekwi was on target for his Chinese side Dalian Yifang as they registered their first win of the season. 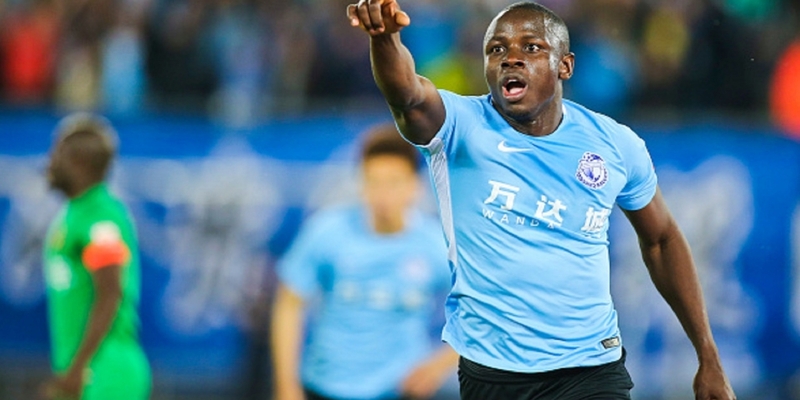 Mushekwi scored the only goal as Dalian Yifang edged Shandong Luneng in at Chinese Super League match on Sunday. It’s Mushekwi’s second consecutive goal of the season after scoring last weekend in his side’s 2-1 loss to Tianjin Teda. Dalian Yifang had registered two draws and two losses before today’s win. Mushekwi’s good form will be sweet news for the Warriors technical team ahead of the AFCON 2019 competition in Egypt in June.